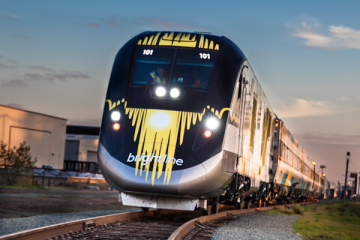 A bill that would set tougher rules and safety requirements on the All Aboard Florida Brightline passenger rail train being developed along the East Coast got approval from the Florida Senate Transportation Committee Tuesday. Yet members of that committee sounded as if they’ll be ready to derail the bill later, if they eventually conclude it’s going to be any kind of major impediment to a train set to start passenger service in south Florida in a few months and eventually extend, at speeds up to 125 mph, up the coast and over to Orlando. Most of them sounded like they like the train, or think it is inevitable, or needed for Florida’s future transportation. Still, the committee voted unanimously to support Senate Bill 572, which would require All Aboard Florida and the track owners, the Florida East Coast Railway, to adhere to state inspections, upgrade and maintain crossings, install security fencing and other restrictions that the railroads argue are covered by, and pre-empted by, federal law. The votes almost all came with assurances that the bill needs more discussion and more consideration, and that should happen down the line. Its next stops are at the Community Affairs and Appropriations committees. 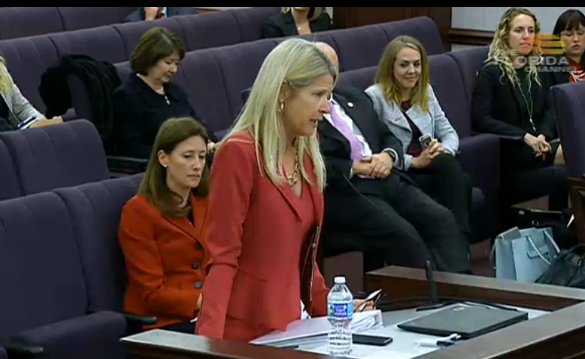 Sponsor state Sen. Debbie Mayfield, a Rockledge Republican, pushed the the Florida High Speed Passenger Rail Safety Act, similar to one she authored last year, as a means for Florida to ensure that Floridians along the line are protected both for public safety and for tax dollars as the private companies seek to open the first new private passenger service in decades. Yet committee member after committee member told Chairman George Gainer, a co-introducer of the bill, that they would show respect for Mayfield and her concerns now, but they really want the train, and after further discussion down the line, they’ll see where where the bill goes. So both the companies behind the train and the determined opponents, centered in the Treasure Coast counties that will be ride-over counties in the second phase, declared some sort of victory coming out of the committee meeting. 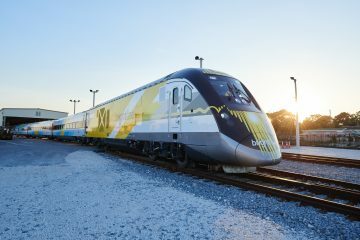 “Today, every senator expressed significant concern over the bill and suggested more conversation is needed,” Rusty Roberts, vice president of government affairs for Brightline, stated in a release from the company. “Today’s vote by the Senate Transportation Committee demonstrates the commitment our elected leaders have to the safety and well-being of Florida residents and to the taxpayers,” Brent Hanlon, chairman of Citizens Against Rail Expansion in Florida, stated. 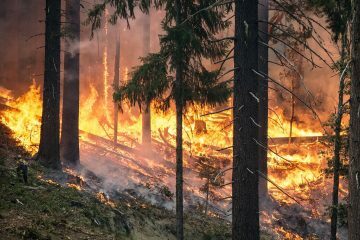 The key issue, besides the companies objections to seeing the state take on a safety regulatory role reserved for the federal government, is whether cities and counties along the way would pay for continued maintenance where their streets and roads cross the railroad tracks. 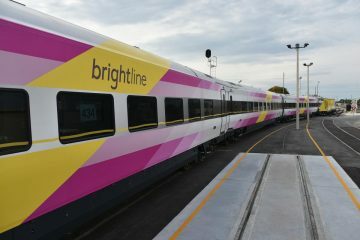 All Aboard Florida said it has paid for all upgrades in the initial three counties of the project, Miami-Dade, Broward and Palm Beach, and has no intention of billing the local communities for those improvements, and will do the same for all upgrades in Martin, St. Lucie, Indian River, Brevard and Orange counties. But after that, the grade separations belongs to the local communities to maintain.